In previous blogs one idea I’ve begun to strongly believe is that we – both individually and as businesses – are not as smart as we think we are. My primary reason for this is the way both brains and companies have been designed. Gary Marcus writes of the brain as a Kluge in his book of the same title. A kluge is defined as “a clumsy or inelegant – yet successful – solution to a problem.” Dr. Marcus points out that: “Adequacy, not beauty, is the name of the game.” It is a term much used by computer programmers rushed for time in software development. Older software that needs to incorporate new programming to allow for additional features or applications is not always redeveloped from the ground up: new code is often just added onto existing programming, and as long as the new combinations of programming do not interfere with each other or cause issues, they will be kept. Over time, kluges can become quite complex. 1. During the course of evolution, the brain has never been redesigned from the ground up. It can only add new systems onto exiting ones. 2. The brain has a very limited capacity for turning off control systems, even when these systems are counterproductive in a given situation. 3. 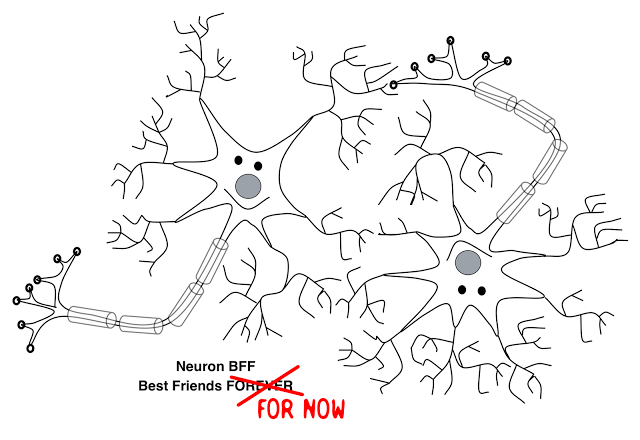 Neurons, the basic processors of the brain, are slow and unreliable, and they have a rather limited signalling range. I postulate that businesses grow the same way. Optimization is not an inevitable outcome of evolution. Our brains are certainly not optimized, and I believe the same could easily be said for many business practices. Optimization is not the inevitable outcome of success. Neurons are cells. But unlike other cells in the body such as skin cells or liver cells, their only job is to receive electrical inputs and send electrical outputs. In simpler species, these signals drive muscle movements – touch a snail it recoils into its shell. In mammals, there’s obviously lot’s more that they can do. It’s worth noting that the neuron’s simple “on or off state” is multiplied by 100 trillion to 1,000 trillion connections in the human brain. As a result, it’s not difficult to understand that this bio-chemical process is much more powerful than any computer. In fact, it has been estimated that there are potentially more synaptic connections (neurons connecting to neurons) in our brains than there are stars in the universe. This ability to wire our brains has been called neuroplasticity. Think of it as use it or lose it. Alexander Luria, a famous Russian psychologist who studied fundamental systems of the brain, discovered in the early part of the 20th century that damaged brains can be retrained through repetition. In a sense you grow your brain through exercise, both mental and physical, with results similar to exercising. By stressing your muscles, they strengthen and grow; by stressing your brain it too will grow in response to the stress. The implications of neuroplasticity have not been lost on educators, teachers and coaches, although I am sure they don’t think in these terms. But in reality, it is the ability of our brains to be wired for both academic and physical achievement that is of major interest. Numerous examples of outstanding feats of musical or athletic excellence have resulted from attention to training the body and the brain to perform at peak capacity or for remediation. For example, the Arrowsmith School in Toronto uses proprietary neuro-scientific programs for remediation of learning disabilities. They have recognized that traditional teaching does not address the root cause of these problems – for a poor reader to practice reading is like a poor golfer practicing a bad swing – you don’t correct a problem by treating the symptom. The school has had tremendous success with students’ struggling with mathematics, reading, writing and a host of other cognitive disabilities by forcing them to undertake specific tasks meant to activate specific regions of the brain. It works. Since brains change based upon how we use them, growing your brain through exercise that stimulates a part of the brain infers that by stressing that area in the same way you stress a muscle, it strengthens and grows. By studying high-achieving athletes, Gladwell determined that while innate talent for a sport is important, it is only after an incredible amount of practice (he suggests 10,000 hours) that true mastery of the craft or activity can be achieved. 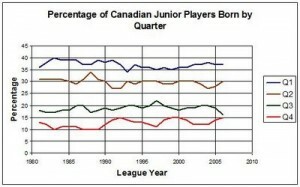 Players born earlier in the year, both because of their increased size relative to players born later, and the extra practice they receive, will perform better than those that weren’t. I would argue that the incredible number of hours spent by many kids today with new technology is also having an effect on their brain development. I’m just not sure whether it is positive or negative. Assuming the mind can control the brain, we need to be careful what we think and do. Bob Bailly is a Calgary-based neuro-marketing and tribal marketing practitioner, teacher and coach.